If you’re about to or have recently moved into your Chesmar home, it’s definitely an exciting time for you and your family. Settling into a newly built residence is a bit like getting behind the wheel of a brand-new car – only more satisfying. Everything is so pristine, so perfect. The tubs are immaculate, the closets expansive and clutter-free (for now, at least), there’s not a smudge on any wall, and even the garage floor looks clean enough to eat off of. And, there’s just something about that new-house smell! One of your favorite rooms will undoubtedly be the kitchen, which came fully equipped with brand-new major appliances, premium countertops, gorgeous cabinetry, and plenty of convenience features such as soft-close glides, a trash drawer, and a gas cooktop. With so much storage and counter space, it’s understandable if your dream kitchen feels a little like a stage waiting for the final touches to be added before opening night. Sure, old favorites like your ceramic rooster cookie jar and copper tea kettle will fit in nicely, but the possibilities for taking your culinary passions to the next level are nearly endless. Where to begin? Here are a few suggestions on items that can make your new kitchen a place where you can cook up just about anything you can dream up. A staple in Asian cuisine, this cookware is made from a bamboo weave and is designed to sit inside a larger pot over several inches of boiling water. 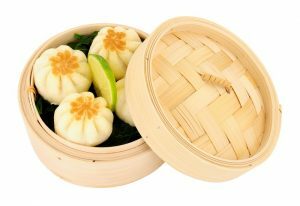 The rising steam cooks the contents inside the steamer, making it a must-have for anyone who loves a good dumpling. But why stop there? Meats, seafood, poultry, and of course vegetables can all be cooked in a steamer, keeping them moist while preventing nutrient loss. Another essential for Asian food enthusiasts, a wok offers numerous advantages over a frying pan. It distributes heat more evenly, requires less oil, and makes it easier to toss-stir food during the cooking process. Although woks today are made from a wide variety of materials such as copper, aluminum, and stainless steel, the traditional carbon steel wok is still the most widely used. Just remember to properly season your wok before using it for the first time. Tired of having to slice meats, cheeses, and vegetables by hand? A mandoline can get the job done lickety-split and with a degree of precision even a seasoned chef would be hard-pressed to emulate. Whether you want paper-thin slivers of pastrami, shredded lettuce for homemade coleslaw, or thicker potato slices for a scalloped potato dish, this versatile tool can do it all. Available in a wide variety of sizes and styles, they’re also easy to clean and store. You’ll wonder how you lived so long without one. What’s not to love? These marvels of (relatively) modern technology can cook an entire pot roast in just 30 minutes. There’s not a lot of finesse involved in using a pressure cooker, but that doesn’t mean you can’t create dishes of sublime delicacy. From teriyaki chicken to pasta Bolognese, you’ll never run out of new recipes to explore. Some of the best pressure cookers – like the Instant Pot – can also be used as a slow cooker, yogurt maker, and egg incubator. Just kidding about that last one. But it can cook your eggs. 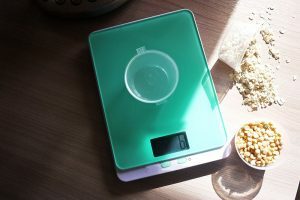 Is a kitchen scale a necessity? Probably not, but it can vastly improve the way you cook. Precise ingredient measurements are one of the keys to the proper preparation of recipes, and the best way to do that isn’t with measuring cups (volume), but rather by weight. A good kitchen scale also makes it easy to manage portion sizes if you’re trying to keep track of your caloric intake. There are many good digital scales on the market that sell for less than $20. No matter how you decide to complete your new kitchen, you’ll love the way your Chesmar home combines all the ingredients needed to create the perfect gathering place for family and friends as they enjoy a meal together. 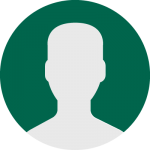 Contact one of our associates today to learn more about the models we’re building in Austin, Dallas, Houston, and San Antonio.